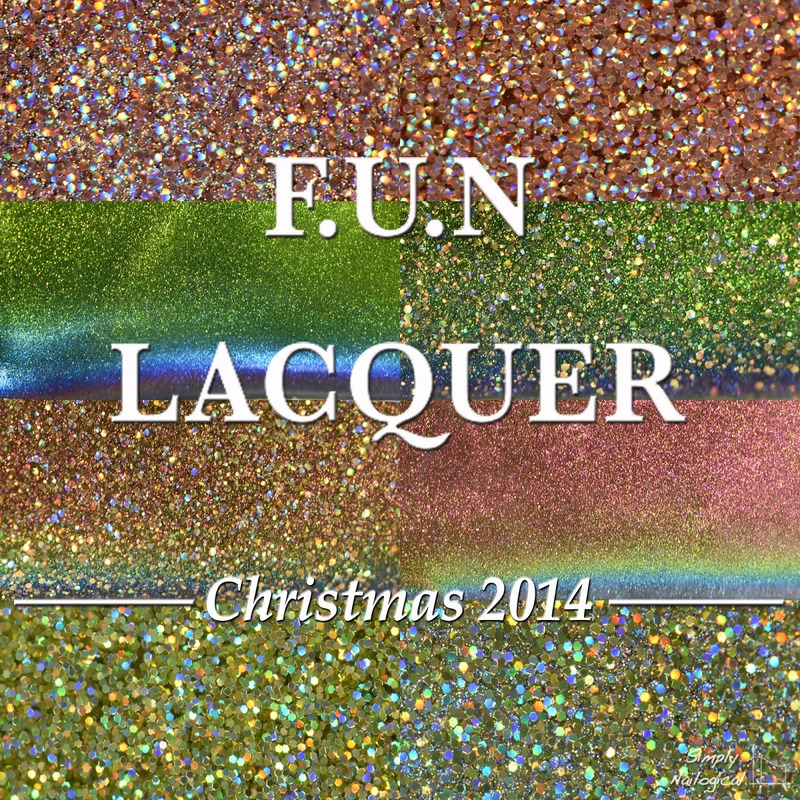 I have an epic Christmas 2014 collection for your viewing pleasure today, brought to you by the one and only FUN Lacquer! 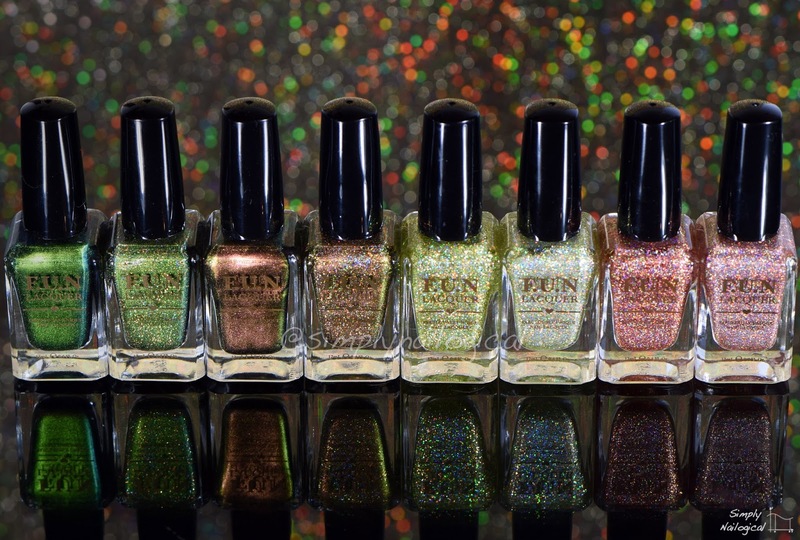 The best part is that not only is this 8-piece rich and oh-so-unique Christmas collection available directly from FUN Lacquer (shipping out of Singapore), but they are newly stocked out of Live Love Polish, a US-based nail polish shop that ships out internationally as well! 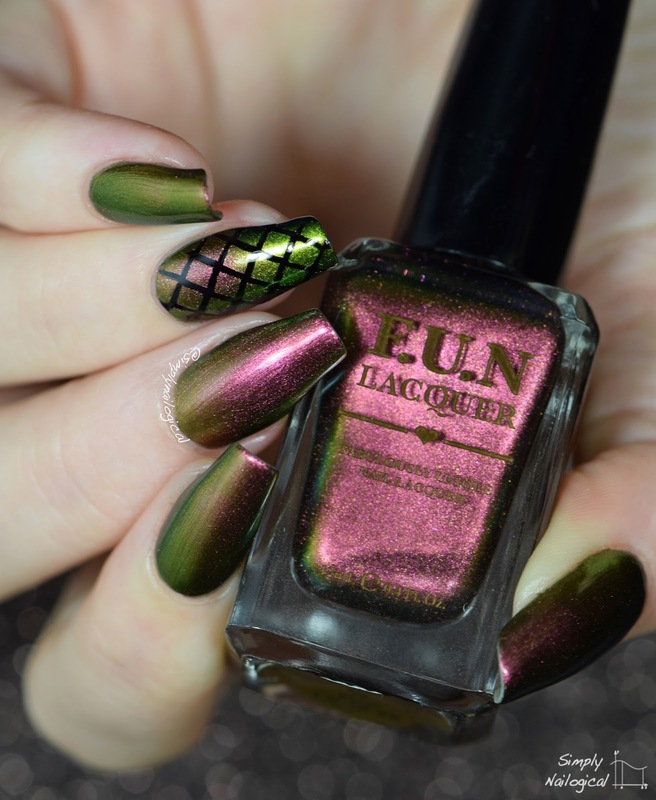 Exciting news for the indie polish addict in all of us. Let's start off with some bottle shots! 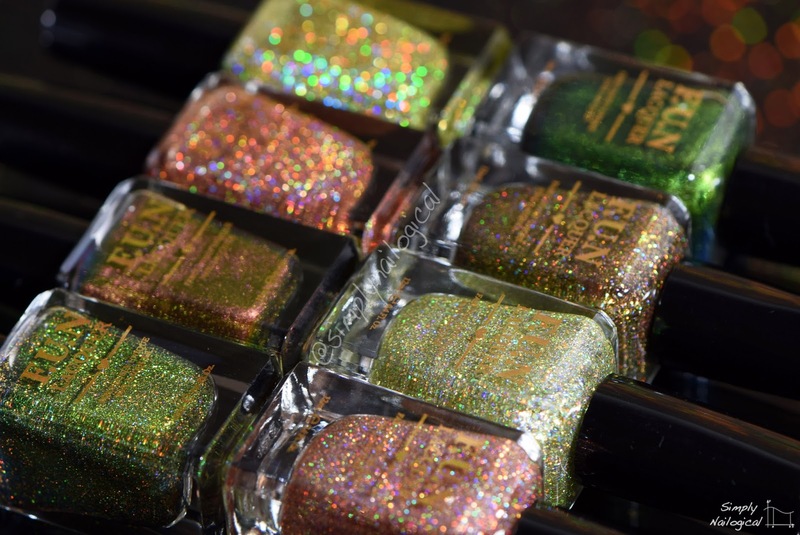 This collection is unlike any other Christmas/holiday polish collection I've seen - it takes a warm interpretation of the holiday season and exudes rich coppery and green tones, with holo glitters galore and stunning multi-chromes. Blue, silver, or white? 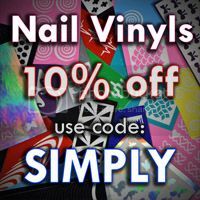 Who cares about traditional holiday colours, FUN Lacquer cooked up something special to keep you feeling warm and fuzzy this Christmas! Here you can see what people really want to know - why is there a "(H)" version of some of the glitters? The (H) added at the end of Royal Chapel or Mistletoe Kiss represent added scattered micro holo particles submerged in the clear jelly. 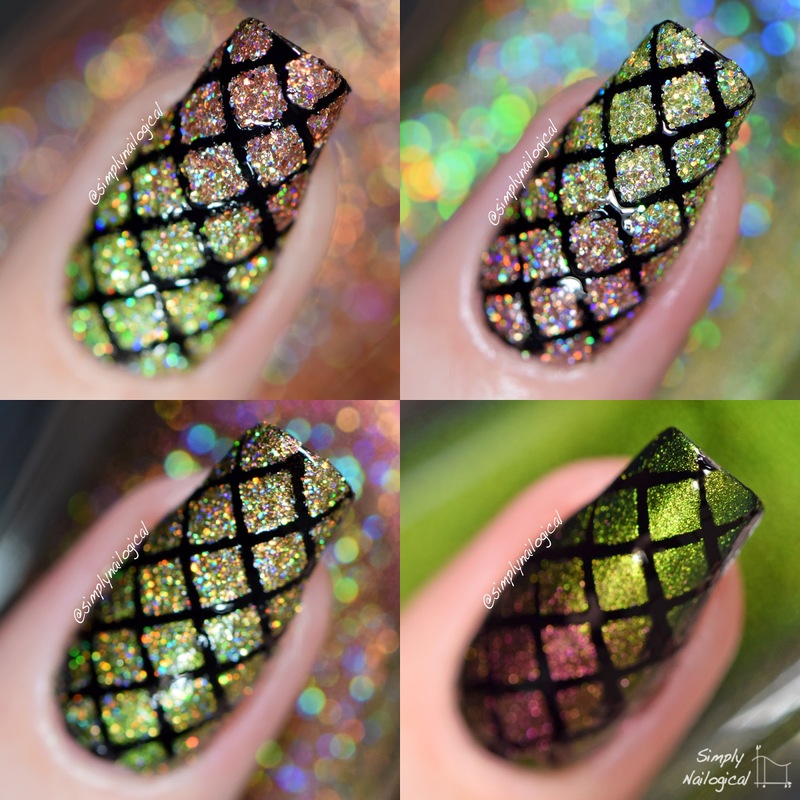 The non-H versions have only the larger holo glitter hex pieces. 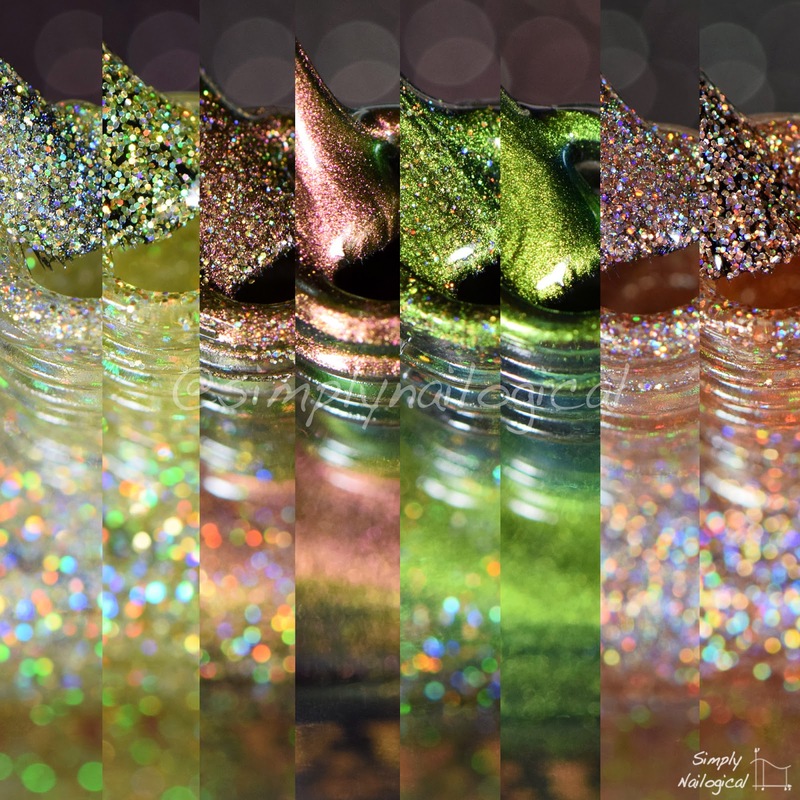 The end result of the (H) versions is a more multi-faceted holographic effect, with the colour of the glitter a bit subdued as a result of the tiny holo particles. 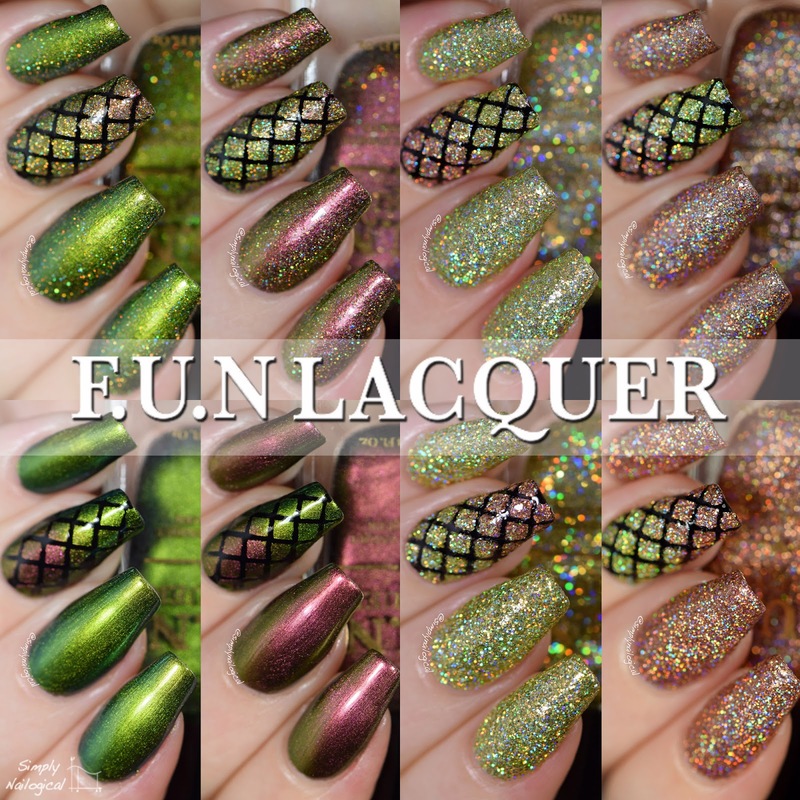 I've explained this in more detail in my post on FUN Lacquer's 1st anniversary collection. 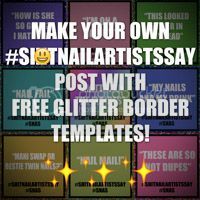 For the four glitter swatches, I applied the polish using my makeup sponge technique to maximize glitter payoff. For this reason I didn't need to use a coloured base coat. 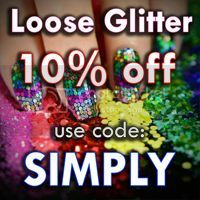 Just 100% pure glitter coverage, hells yea! See this video on how to do the technique. 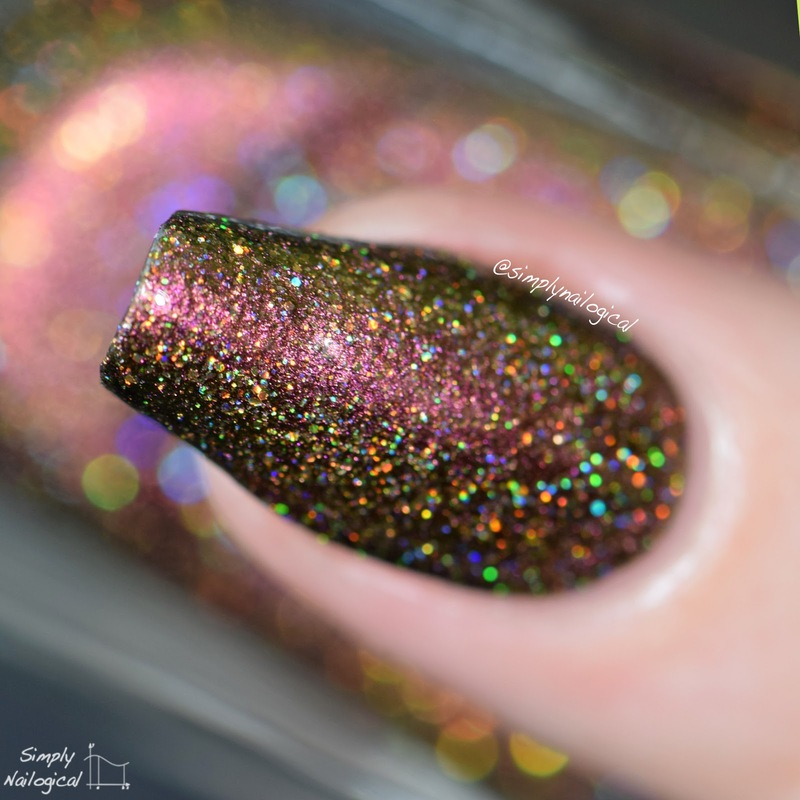 I used OPI's peel off base coat for easy glitter removal after each swatch, and kept my cuticles nice and supple with my favourite cuticle and nail oil - watch the video below! One coat of my fav glossy top coat HK Girl by Glisten & Glow on all nails. First up, Royal Chapel! 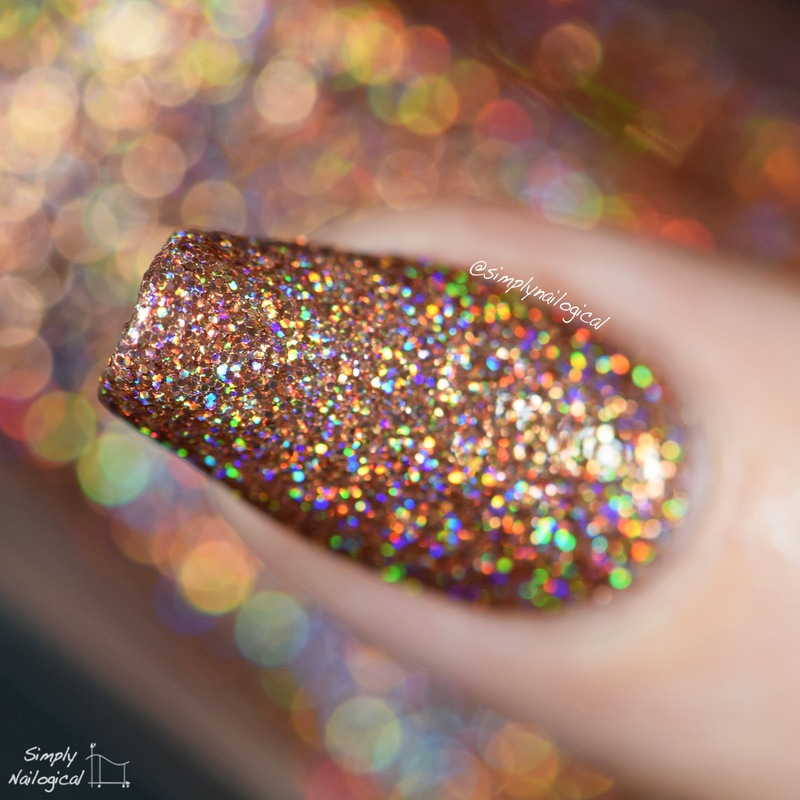 Almost a rose-gold champagne colour with a slightly warmer undertone, this holo glitter is EPIC and unlike any other colour I've seen before, honest. It's so warm and rich it's literally bling dripping from your fingers. 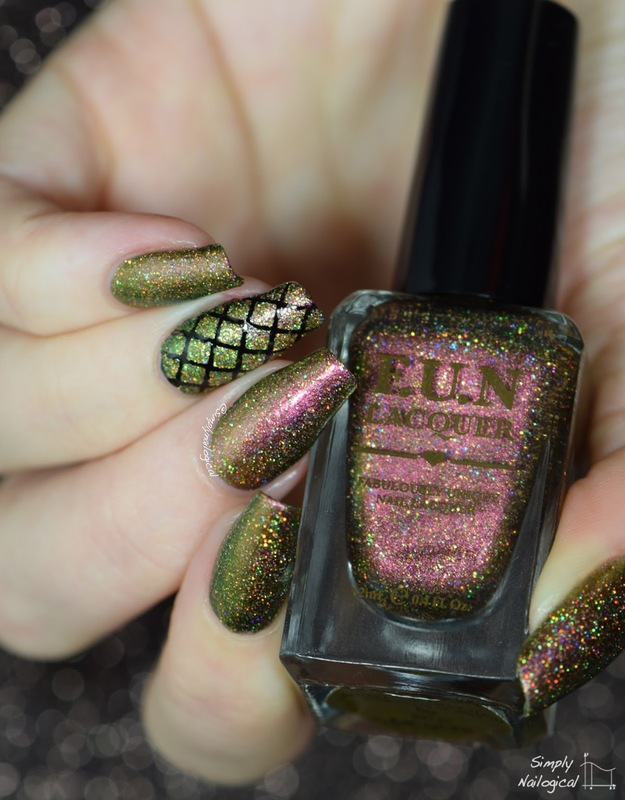 I've paired it with it's holo glitter sister, Mistletoe Kiss. Royal Chapel's over-indulgent sister, Royal Chapel (H) has added scattered micro holo particles! With different lighting this Christmas wonder can be extremely colour-rich and saturated and when the angle is changed the tiny holo particles take over and blind the audience with more silvery-toned bling. Either way this baby's got it goin' on. 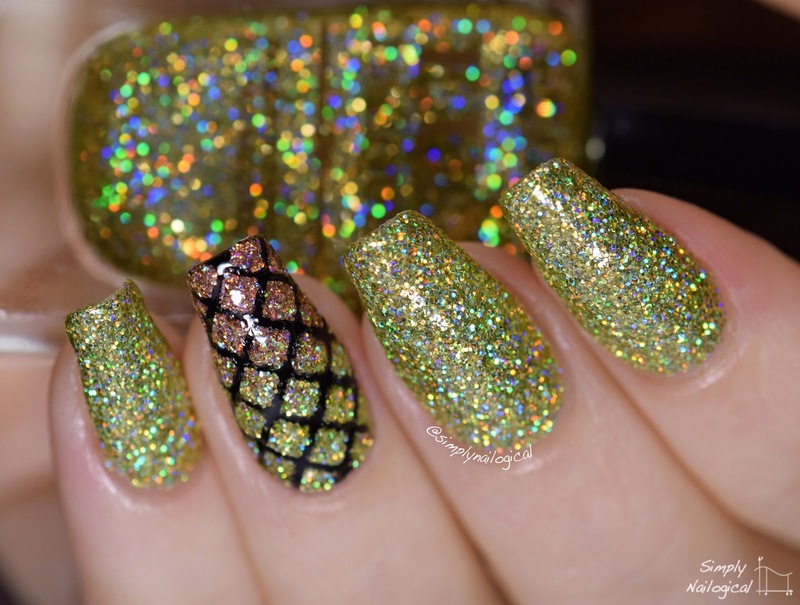 On the accent nail it fades to it's holo glitter sister, Mistletoe Kiss (H). Here's Mistletoe Kiss! 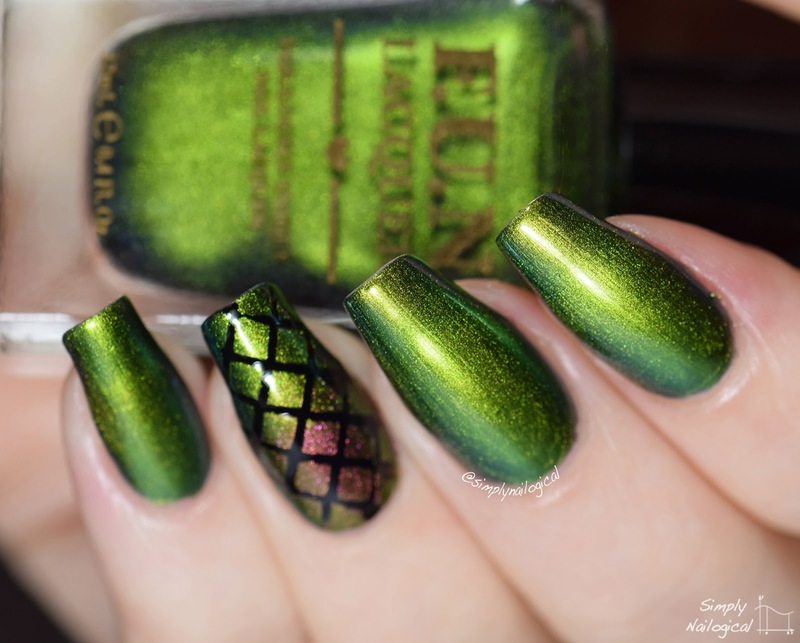 A gorgeous lime-gold, I'd make out with this polish anywhere. Don't need no mistletoe, nope. Again, talk about unique colour! 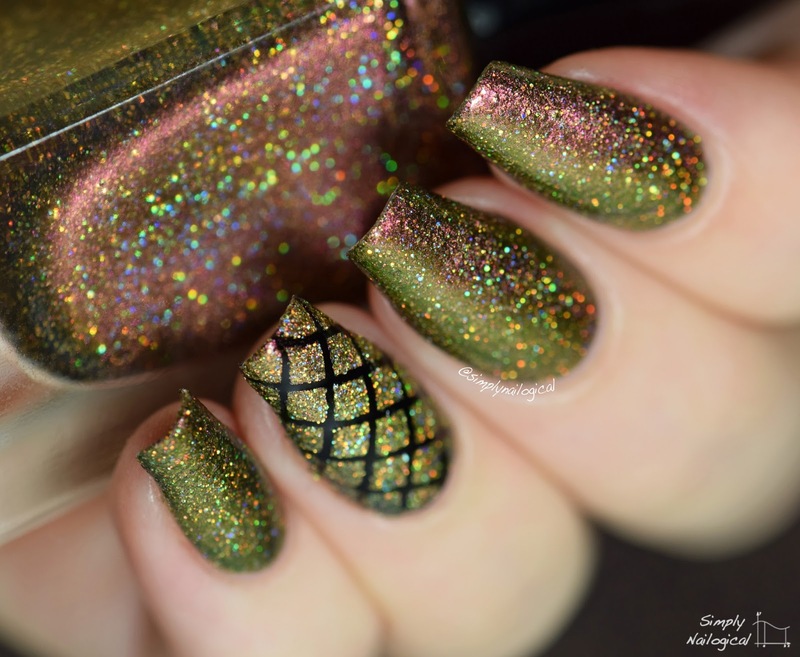 Here's Mistletoe Kiss (H), equally as extravagant but all the more multi-faceted with added micro scattered holo bits. It's like Christmas ornaments on my nails. 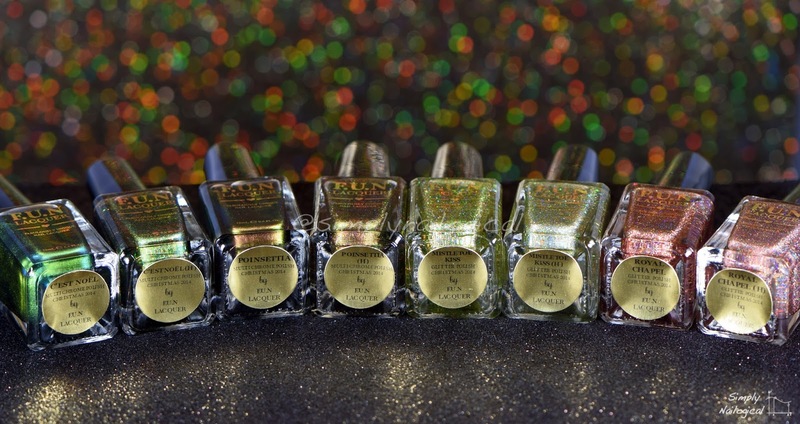 How pretty would this collection make Christmas ornament colours, right?! 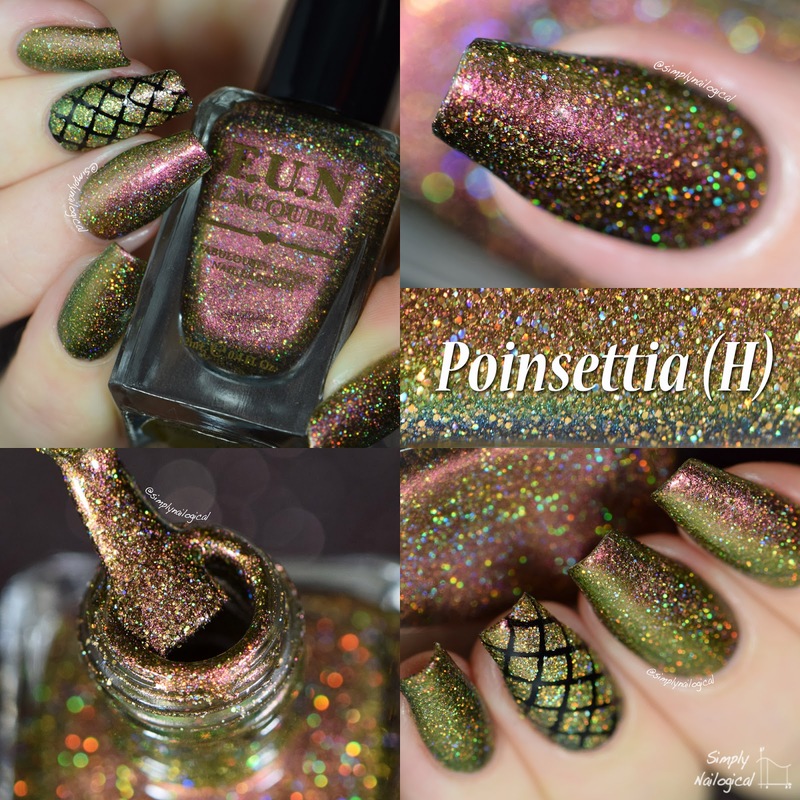 The first of four multichromes, Poinsettia is just killing it! How luxe does this look?! A beautiful colour shift from a burnt red flash to rich brown and greens on the tilt. This is three thin coats. 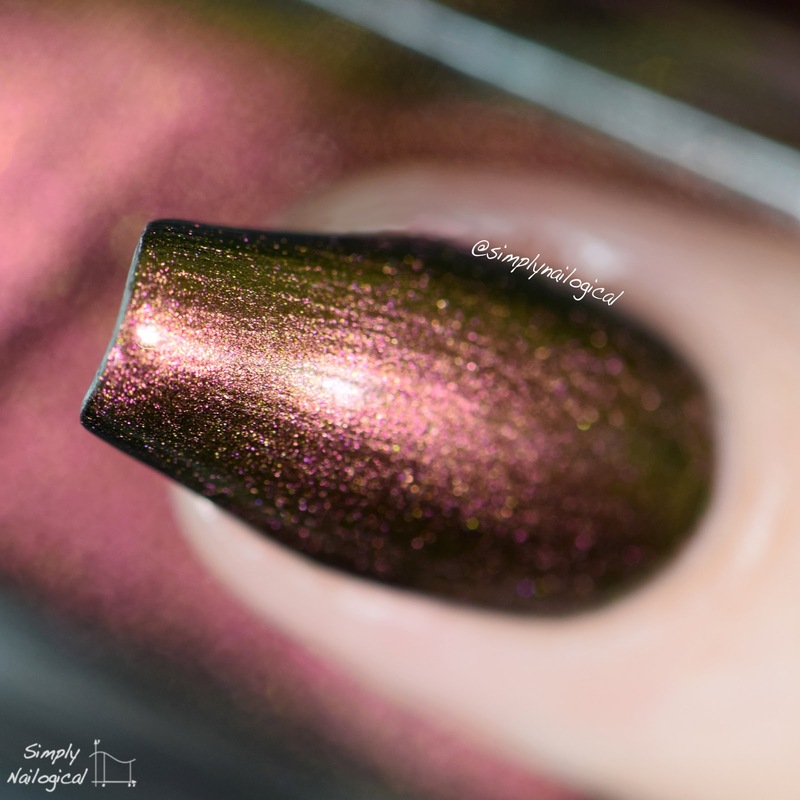 The accent nail features a gradient with it's multi-chrome sister, C'est Noël. 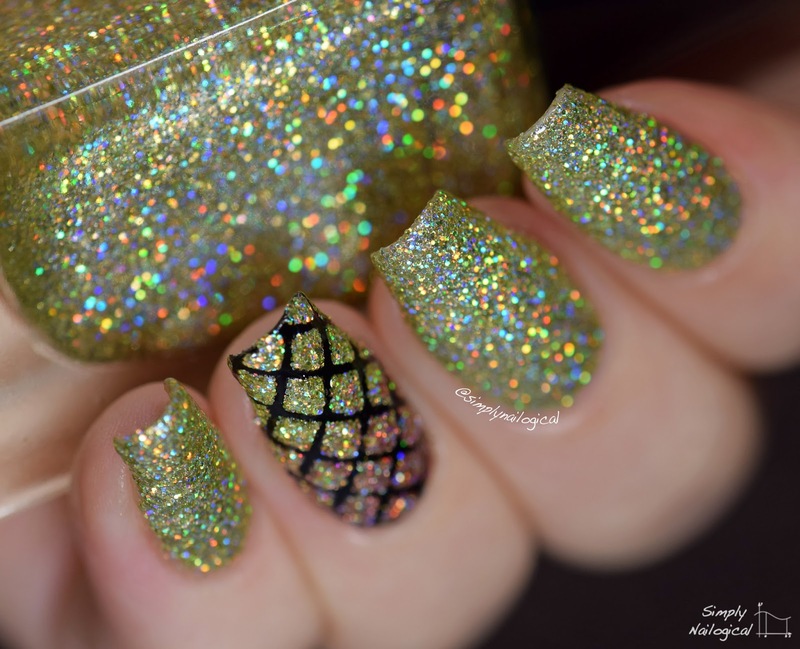 Oooh, look, more holo! 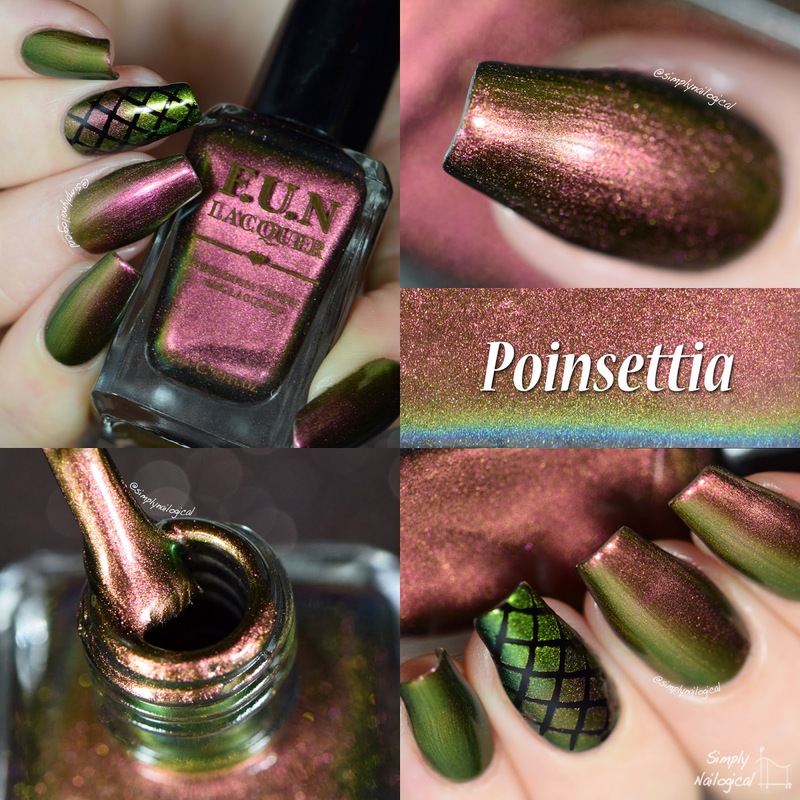 This is Poinsettia (H), and boy is she ever on point! This was just two even coats! 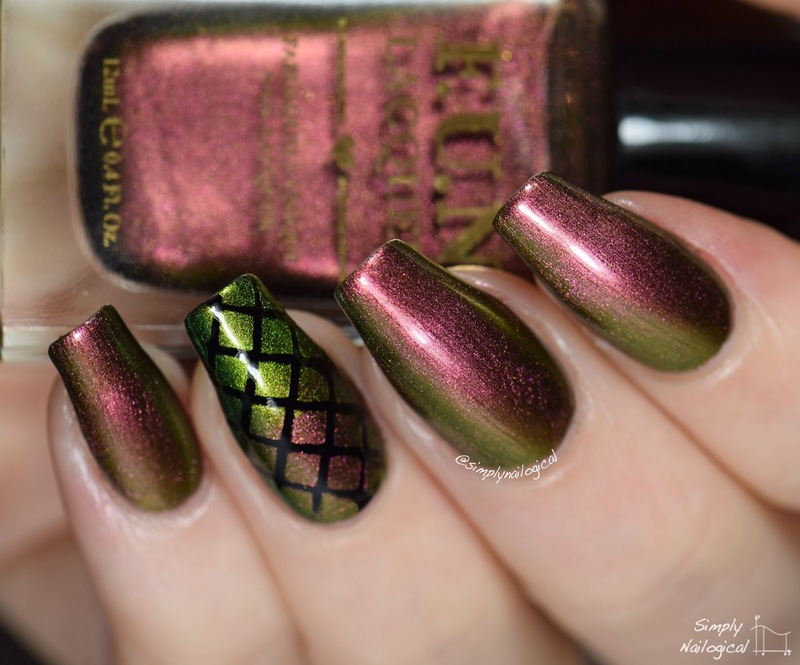 The holo bits really help fill this polish out in terms of opacity. 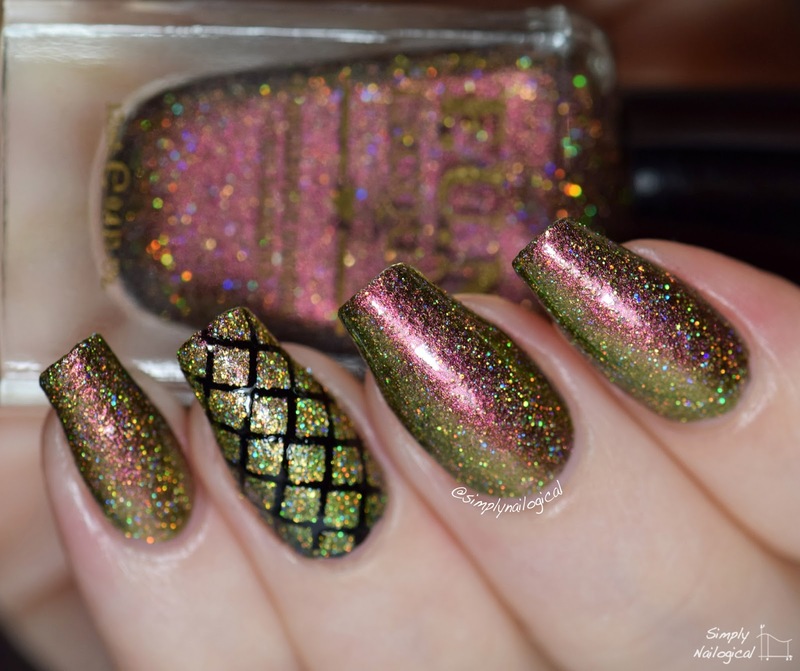 There's so much going on here between shifting colours and holo rainbows I just forgot that I'm supposed to buy people presents for Christmas. 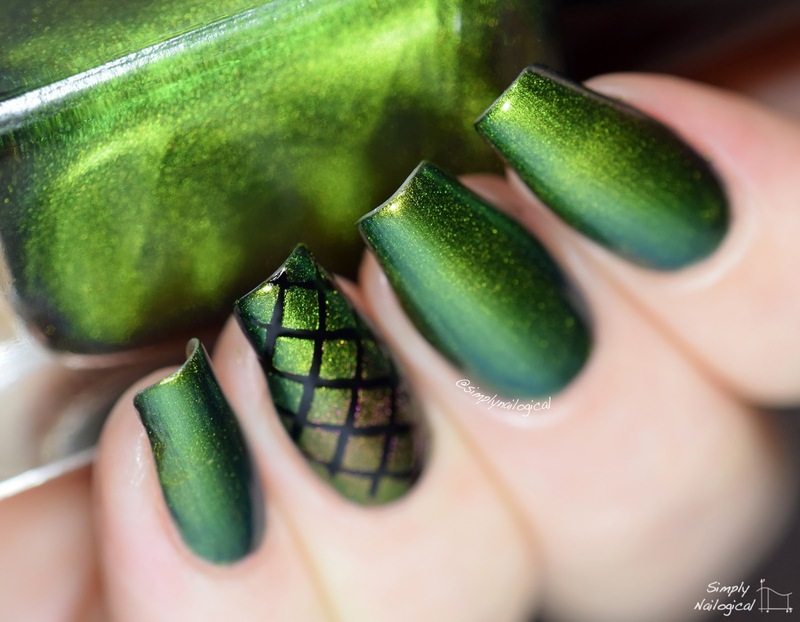 Accent nail paired with C'est Noël (H). 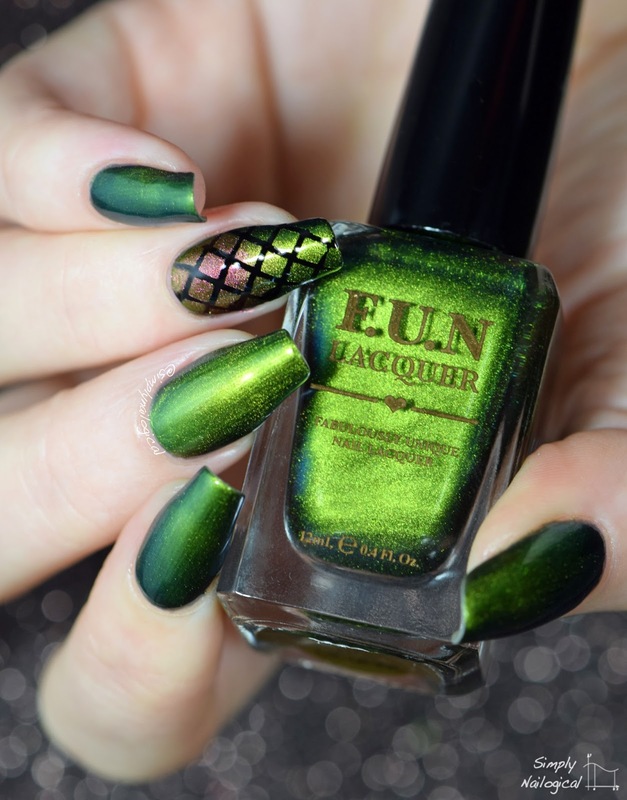 C'est Noël is the perfect rich glowing green for Christmas, and it shifts to a dark everest green with a hint of teal! I really like this one, it's got an eery quality to it that I just love cause well, I'm a freak. 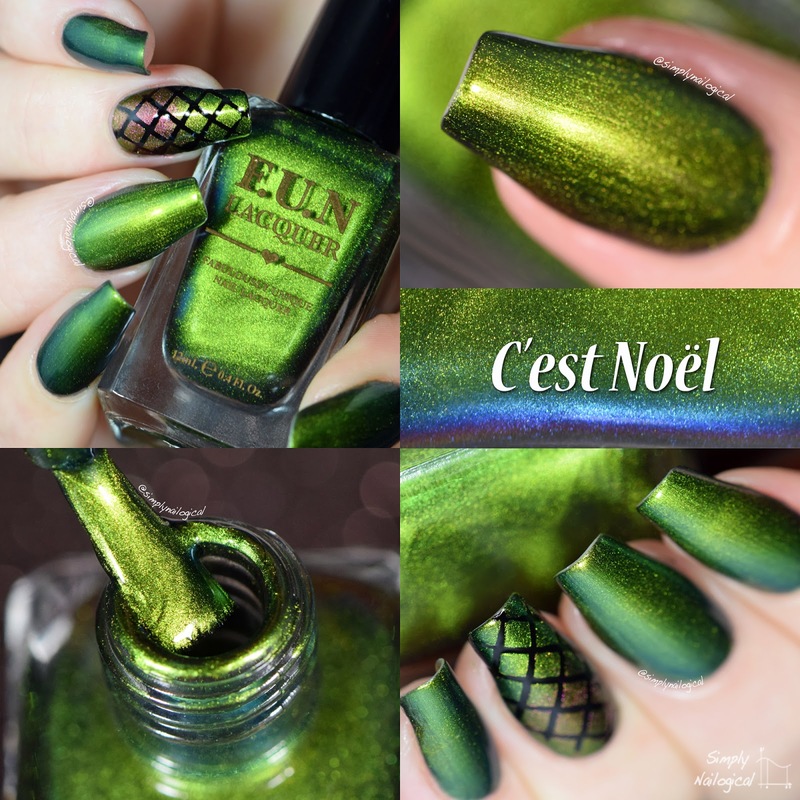 Finally, the last of this glamourous 8-piece Christmas collection, here's C'est Noël (H), just two coats! 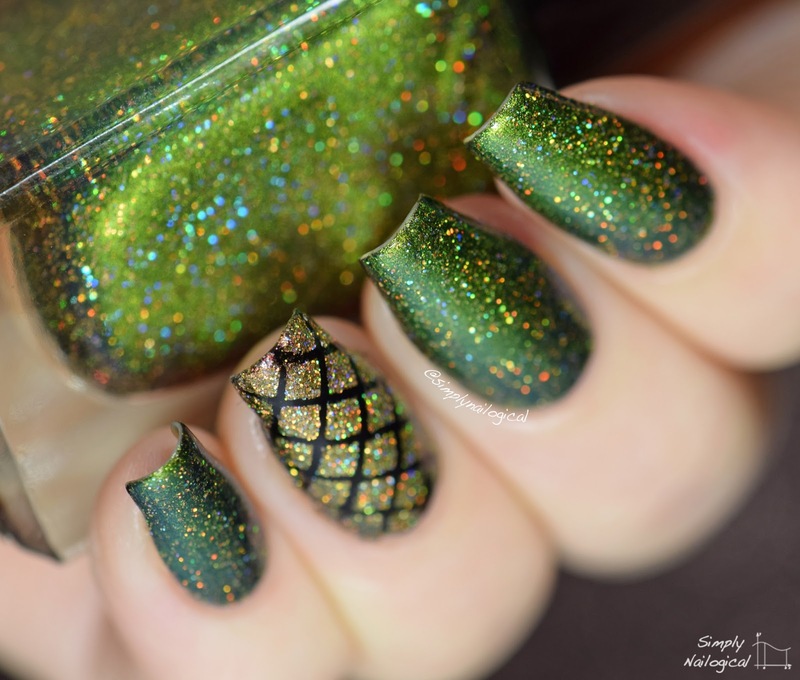 A sparkling Christmas tree on your nails, just the way a tree - hell any tree not even just Christmas trees - should be. To create these, I used Cult Nails 'Nevermore' black creme polish as a base, followed by my favourite quick dry top coat, HK Girl by Glisten & Glow to seal it all up. 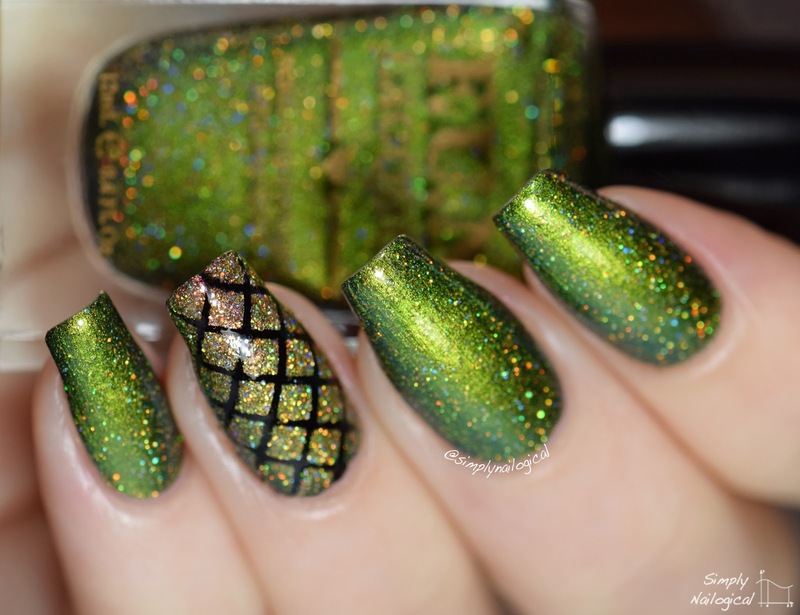 After letting dry I applied diamond nail shields from Love Angeline and sponged on a gradient of two polishes from this collection, each matching the swatch I presented. See how in the video! 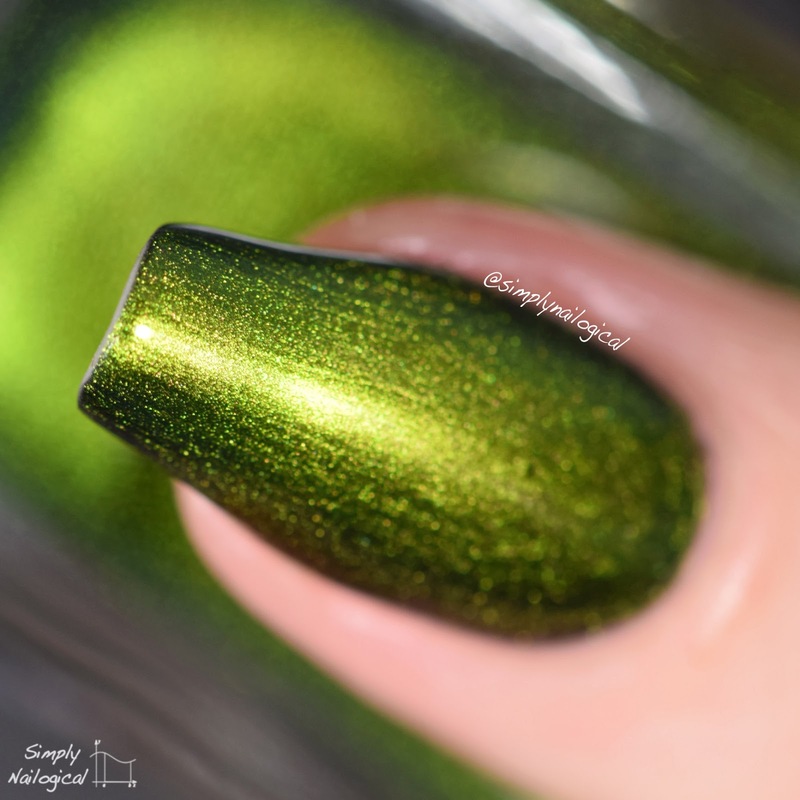 How to easily remove glitter polish using a peel off base coat - I use OPI's glitter off, but others have made their own DIY base using PVA glue! 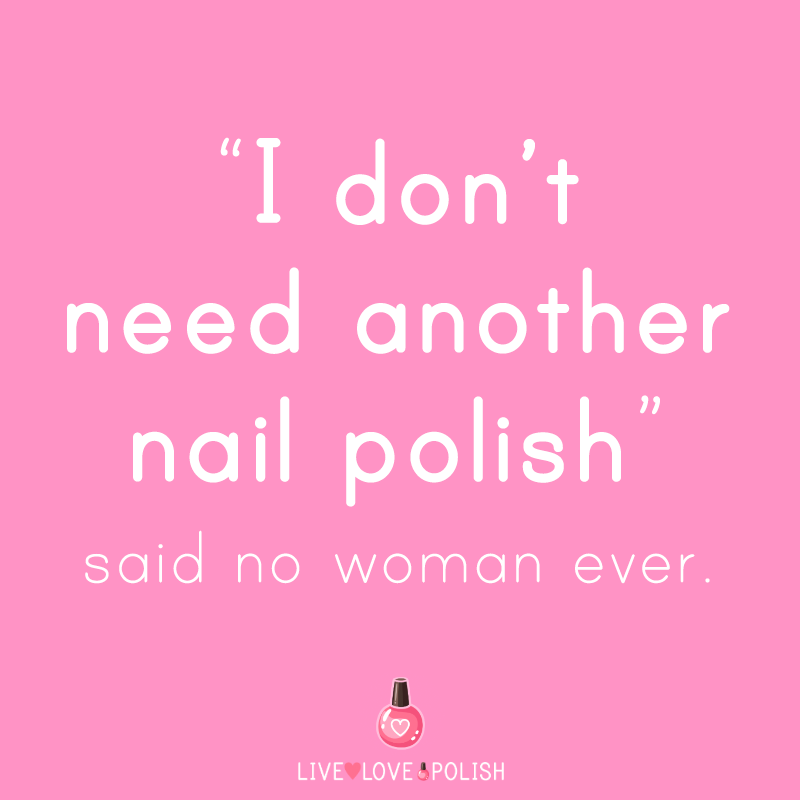 I always use a glitter peel off base coat whenever I do glitter manis - makes life so much easier! 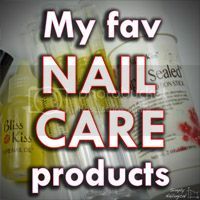 In the video I say to use an inexpensive cuticle oil to slather over your nails before you push off the glitter - this is so you don't waste a bunch of your better cuticle oil - read and see what cuticle oil I think is the best for long and strong nails here! 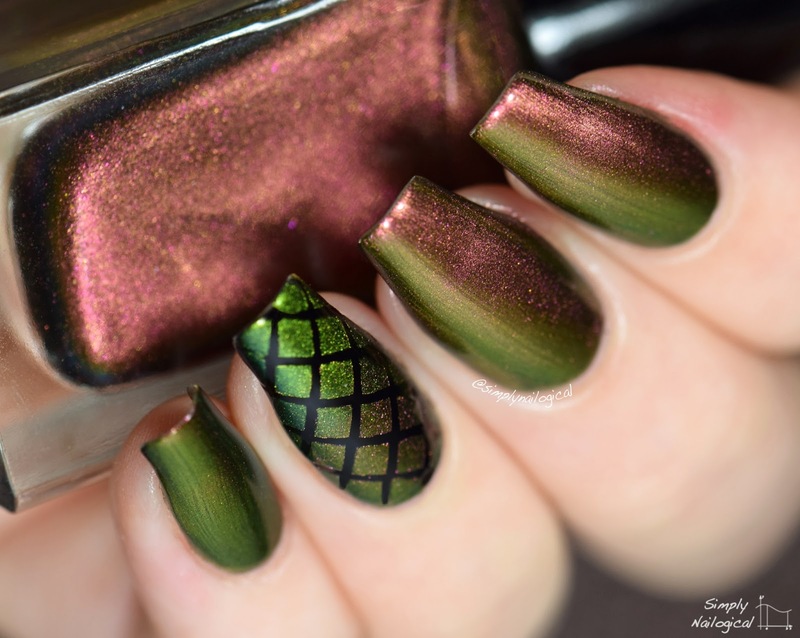 How to make the snazzy accent nails you see in this post! Check out the featured new product, Liquid Palisade from Kiesque to help with post-gradient clean up! 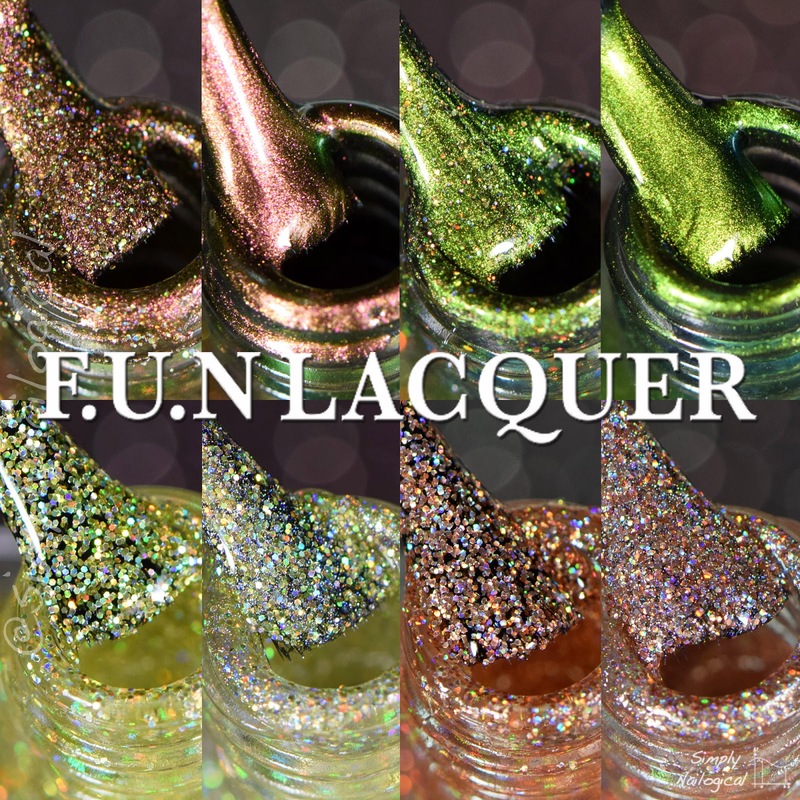 *Polishes provided by FUN Lacquer for my review. Nail shields provided by Love Angeline for my review. Liquid Palisade provided by Kiesque for my review. Beautiful pictures! I will be picking up a few of these. 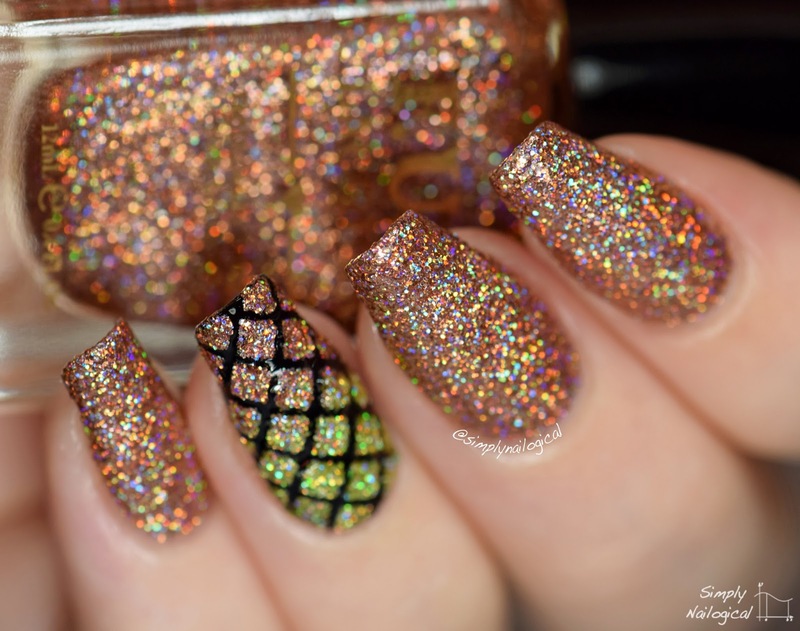 Ho-ho-holo! You're awesome and this collection is amaaazing.